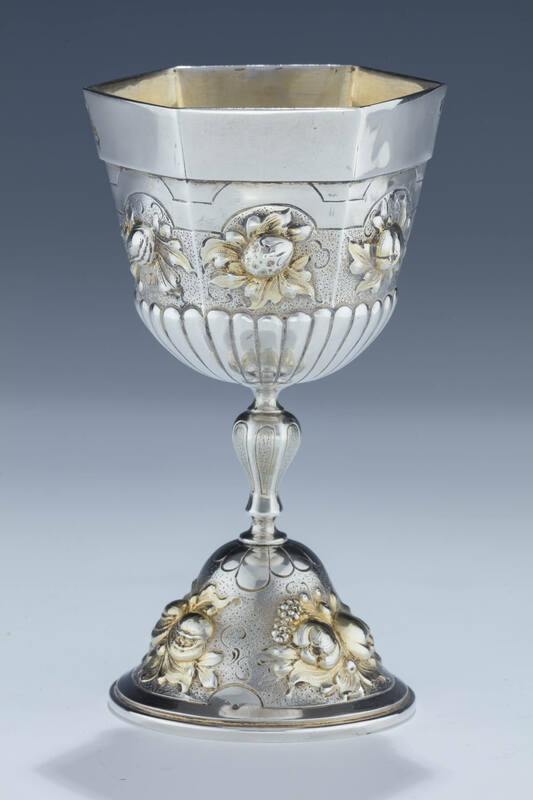 A MONUMENTAL SILVER KIDDUSH CUP BY LAZARUS POSEN. Frankfurt-Au-Main, c. 1890. On round base, embossed with floral designs. Upper portion is six sided and embossed identical design. Signed. 5.6” tall.